If you were fortunate enough to book in and pay your deposit for my fabulous trip to the Dordogne region of Southwest France in May this year, yay!! You got the early bird special !! The cost now for the trip is $3000..
it’s still a great deal and I hope you will come with me on this amazing journey.. your food, accommodation and airport pick up and delivery as well as day excursions is included. 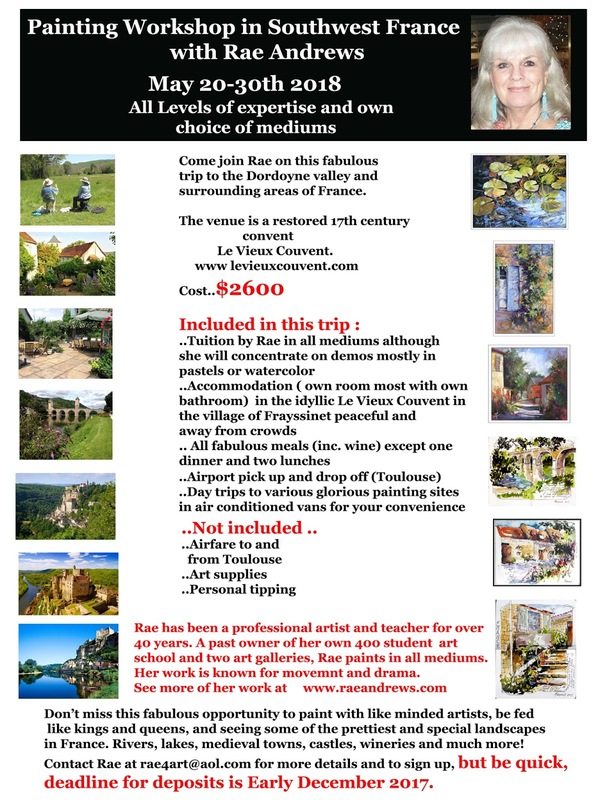 So let’s have fun and paint this beautiful area of France together.. Contact me at rae4art@aol.com for further details. Please don't miss out on this fabulous trip to the region of the Dordogne Valley in southwest France. 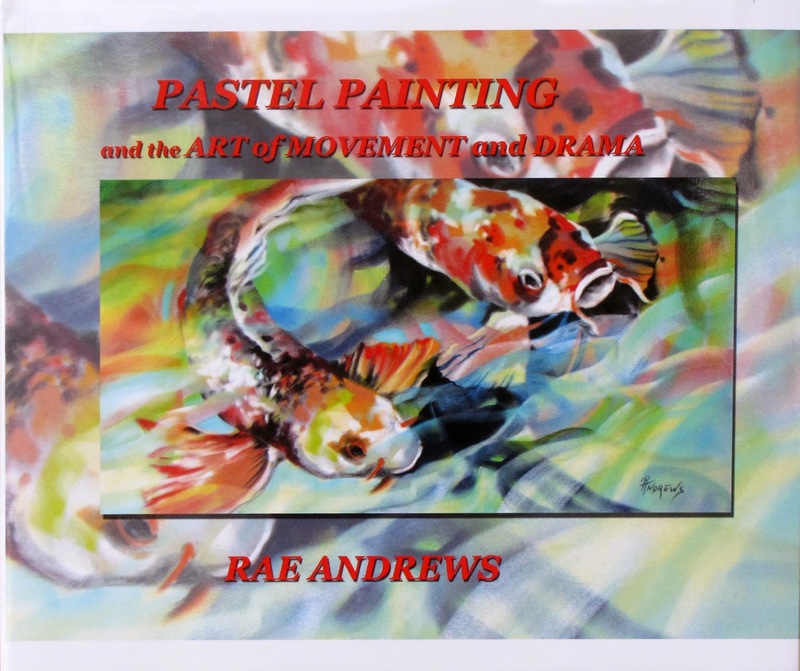 Rae will demonstrate in pastel techniques and watercolor. However all mediums are welcome. Rae will give personal at easel instruction if you choose a different medium to what she is demoing in. ** We also have a wonderful studio in which to work if desired.. This venue covers it all! Lakes, rivers, castles, quaint French towns, poppy fields, medieval cliff side villages and so much more.. This venue of Le Vieux Couvent is a restored 17th century convent, now an artist's retreat! Private room (most with own bath and meals to die for! The price is including so many things including my tuition..
Airfare is not included and a couple of meals..
Go to the website below for details, and please contact me if you are interested. I need to get deposits in by early December 2017.